This is a beautifully appointed 3 bedroom end of terrace victorian cottage sleeping 5 people in a king size double bedroom, a twin bedded room and a single bedroom. 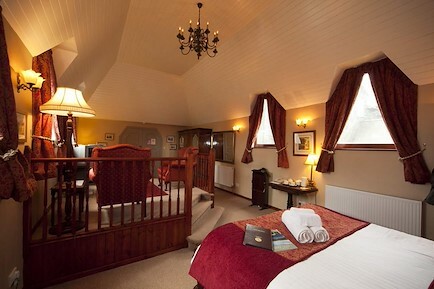 All bedrooms with the exception of the single room have river views, the single looking over the rooftops to Walla Crag. The cottage boasts both a bathroom and a shower room and toilets on both the ground and the first floor. There is a kitchen diner to the river side of the property featuring a dishwasher, washing machine and all current kitchen necessities and a stable door opening on to a true riverside patio where having a quiet cup of tea or dining can be combined with wildlife viewing. The lounge is to the front of the property and though centrally heated there is a remote control gas coal effect stove to add to the cosy cottage feel on cooler evenings. We have included high speed WiFi and a 40 inch smart television plus a second television in the kitchen diner area. Private parking to the front of the property for two cars. Please note Lydia's is awaiting a Visit England inspection and is as yet NOT rated. This cottage is next door to Riverside and though smaller (sleeping 4 guests) in a twin and a double bedroom it is refurbrished to the same high standard as Riverside Cottage. The bedrooms are a twin and a double bedded room, the double having river views and the twin looking over the rooftops to Walla Crag. There is a beautiful shower room upstairs and as we have no bath in the property we fitted a large shower with rainfall and normal showering options. Downstairs is open plan with a lovely original fireplace and a remote control gas coal effect stove, Wi Fi is included and there is also a 40 inch smart TV. The rear door leads on to a beautiful true riverside patio which benefits from late afternoon sunshine, ideal for dining out weather permitting or merely having a drink and wildlife spotting. From the Motorway. Exit M6 at junction 40, take the A66 west signed Keswick, after approx 15 miles take the exit signed Keswick, carry on until you reach a T-junction then turn right onto the A5271 (town centre 1 mile) Riverside Cottage is 1/4 mile further on your right just past a small wooded area. From Carlisle take the A595 signed Workington then turn left onto the A591 signed Windermere and Keswick (approx 20 miles) , at the roundabout (about 12 miles) take the first exit A66 signed Penrith and the M6. Take the first exit which passes beneath the road you have just traversed signed Windermere and Keswick. On reaching the T junction turn right onto A5271 (town centre 1 mile) Riverside Cottage is 1/4 mile on your right just past a small wooded area. From Ambleside drop down the hill towards the town centre. Pass the junction (R/H side) signed M6 and Penrith, Riverside cottage is 1/4 mile on your right just past a small wooded area. Your enquiry will be sent directly to Riverside Cottage and Lydia's River Cottage. Please fill in as much detail as you can.